IT IS hard, when one looks at what is going on in the country, not to be tempted to suspect a sinister drive to empty our country’s coffers ahead of a feared political Armageddon in 2019. How else does one explain the sudden proliferation of media reports of several multi-million rand deals and other arrangements benefiting seemingly obscure people,whose identity no one seems prepared to reveal? How does one explain the apparent refusal by the named state-owned entities (SOEs) to come clean on the details of such contracts and arrangements, and the processes followed to conclude them? And how in the world does one start explaining the renewed onslaught on the finance minister, even by Gupta-friendly cabinet colleagues such as Des van Rooyen? It doesn’t make sense, for instance, that instead of coming clean as per Treasury stipulations – not ones dictated by itself – Eskom seems to be crying victim, accusing National Treasury of playing politics, and refusing to publicly tell us what in the world is going on in its operations. In order to protect what remains of their corporate reputation, and if they are certain they have nothing to hide, surely they could simply submit all required documents and answer the questions asked by Treasury? Their seeming refusal to cooperate is already sending out the wrong message to observers and, crucially, risks casting another unwanted shadow over the country’s prospects for a favourable credit rating. And elsewhere, why is it that a government minister seems so keen to stop a tender abuse investigationordered by the public protector at the Passenger Rail Agency of South Africa? Whose face stands to be revealed by the outcome of an independent investigation of this reported wrongdoing? And what about all the reports concerning people very close to the Guptas continuing to benefit from several multi-million rand deals with other SOEs? Who is at the centre of all this? Who are the protectors and the facilitators of this seemingly unstoppable madness? Why are those who have the power to stop it not doing anything? Why is Dudu Myeni still heading the beleaguered South African Airways board, and why is Hlaudi Motsoeneng still chief operating officer of the SABC despite public protector reports that he shouldn’t be in that position? What happened to the star that used to be Deputy President Ramaphosa? Where does he stand on all of this? Does he not care about its impact on his increasingly tarnished reputation? Has he given up any chance of rescuing what remains of it? 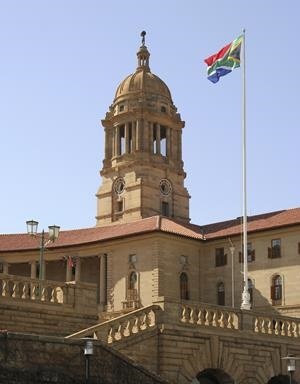 Given that both the National Prosecuting Authority and the Hawks seem headed by individuals who, recent experience has shown, cannot be trusted to act without fear and favour when it comes to powerful politicians – people with a constant eye on the buttered side of their bread – who is to protect us from those who are paid to protect us? All of this reminds me of comments made by a friend from the Democratic Republic of the Congo, who mockingly told me the other day that South Africa has long lost its African exceptionalism. He went on to say that where he came from, politicians and government officials knew they had to ‘stash away’ as much as possible while still in their positions before they were kicked out and replaced. Also, he further told me, the stashing away tends to pick up speed prior to highly contested elections, when those with access to public funds need to beef up their electoral coffers and when they start fearing massive election losses. In a country where all the major political parties seem complicit in their refusal to let us to know who funds them and how funds get channelled to their coffers, the man and woman in the street are the only losers. They get taken for granted and lied to in broad daylight. My good friend Judith February shared this quote by Roman lawyer and philosopher Marcus Tullius Cicero just the other day: “A nation can survive its fools, and even the ambitious. But it cannot survive treason from within. An enemy at the gates is less formidable, for he is known and carries his banner openly. But the traitor moves amongst those within the gate freely, his sly whispers rustling through all the alleys, heard in the very halls of government itself. The traitor is never driven by the interests of country and people at heart. He takes for himself and those around him. He takes to keep feeding those who protect him and ensure that he never gets to pay for his evil deeds. When the numbers of such traitors multiply – as they seem to be in South Africa – nations come under siege without knowing that they are captive. Often, because traitors eat like them, sing like them, dress like them and cry like them, ordinary people don’t realise the damage that is being done right under their eyes until it is too late. Is there a role for our banks to play here? Could they expose any suspected illicit channelling of public funds that might be going through their systems and save our country from complete capture? What more can we do to increase our collective and institutional vigilance?